The network is now in its third year and will be holding a week long workshop in Cambridge from the 4th to 9th of May. Network members will be involved in a range of activities during the week. 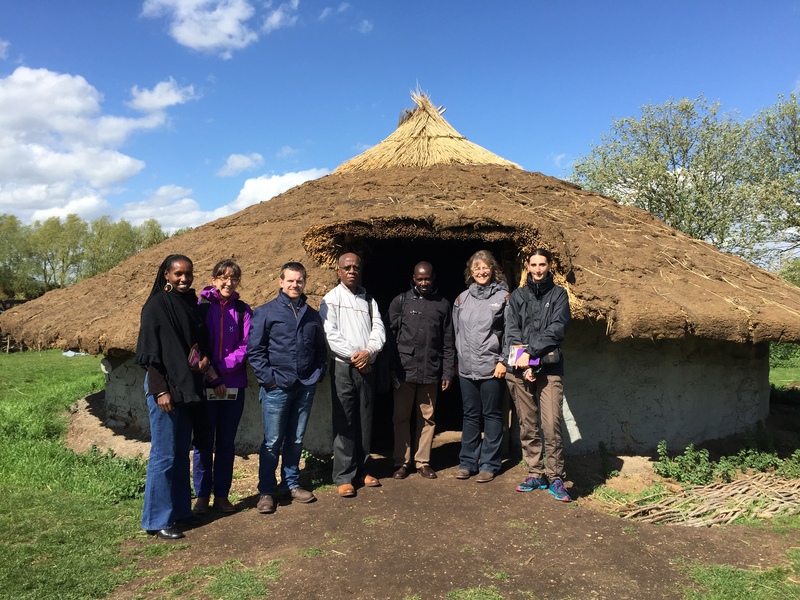 If you would like to meet the network members and/or learn more about the network please do come along to meet us for wine and nibbles following the Cambridge African Archaeology group seminar at 5.30 PM in the MacDonald Institute on Wednesday the 6th of May 2015. You would also be welcome to attend the African Archaeology Group seminar itself which will begin at 4.30pm also at the MacDonald Institute. Researchers with a specific interest in African Farming should contact Dr Matthew Davies (md564@cam.ac.uk) to enquire about participation at further events. The second field workshop took place in Bokoni South Africa between the 6th and 13th of July 2014. More details can be found in this post. There was a strong Nigerian, Kenyan, Swedish and UK component and the workshop was organised and directed by our host Dr Alex Schoeman with her trusty students. Following the workshop the team attended the Pan-African Archaeological Congress and joint Society of Africanist Archaeologists conference at the University of Wittwatersrand. As a network we presented seven papers, details and abstracts of which can be found here. “I was greatly impressed by the strides that the Bokoni research team have made, especially in exploring aspects of crop ecology and soil chemistry to explore past cropping patterns and soil fertility. These techniques will no doubt also prove useful to explore the spatial correlates of sociality, population and labour within Bokoni households” Dr Matthew Davies, University of Cambridge. Alex explains the landscape from a vantage point – in the cold! The workshop was conducted between the 6th and the 19th of December 2013 and a wealth of detail on the workshop and its results can be found via the ‘Post’ page which will be regularly updated. A short description of the workshop activities can be found here while a selection of workshop images can be found below. The final day of the workshop involved a summary seminar and future planning meeting – full details of which will be posted shortly. The workshop was attended by a range of scholars from Kenya, Nigeria, South Africa and the UK, as well as the local Marakwet Research team, please see the Researchers page for further details. “I found the whole project and field-trip to Tot immensely rewarding and enjoyable. I learned an immense amount from our hosts about how their farming landscape successfully works today and in the recent past, and this will provide an ideal test-bed for me to investigate how the landscape developed in the deeper past and how it may continue to be sustainable in the future” Professor Charles French, University of Cambridge. “The integration of local personnel and knowledge in the acquisition of research data is a very commendable strategy” Professor Adebayo Folorunso, University of Ibadan. Future events have been arranged for Bokoni (South Africa) in July 2014 and Tiv (Nigeria) in November/December 2014 and Cambridge (UK) in 2015. Watch this space for further information.